Product prices and availability are accurate as of 2019-04-23 05:09:37 UTC and are subject to change. Any price and availability information displayed on http://www.amazon.com/ at the time of purchase will apply to the purchase of this product. From the #1 bestselling Laugh-Out-Loud Jokes for Kids series comes a 2-in-1 collectible hardcover bind-up of Laugh-Out-Loud Awesome Jokes for Kids and Laugh-Out-Loud Road Trip Jokes for Kids! 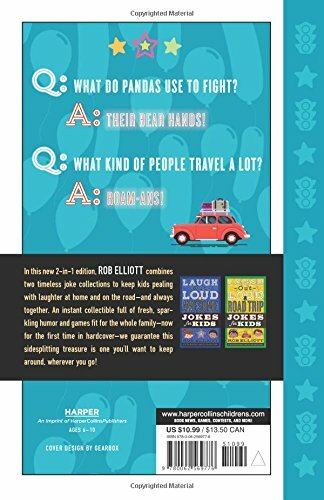 In hardcover for the first time, Rob Elliot brings together two timeless joke books full of hilarious hits that will never go out of style. 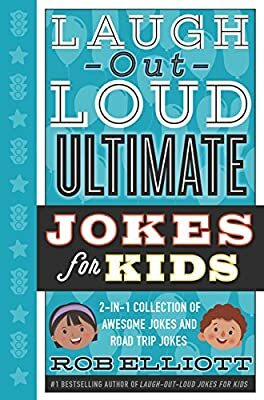 Packed full of side-splitters, tongue-twisters, knee-slappers, and even games and puzzles, you’ll want to keep this on hand for the whole family, the whole year round! Q: How do pandas fight? A: With their bear hands! Q: What kind of people travel a lot? A: Romans!